NEW single bottle and re-designed three-bottle gel warmer warms ultrasound gel to body temperature. 4.5" wide, 7.25" x 8.25" high. Ultrasound Accessories can be found in our extensive online collection of products from globally recognized and trusted brands, including Parker Labs. 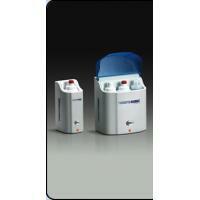 An excellent option to consider is the Thermasonic Multi-Bottle Gel Warmer with Dispensers.